The Gerflor Group creates, manufactures, and markets innovative, decorative and eco-responsible solutions for resilient floors. COPP Montreal works with Gerflor Canada. 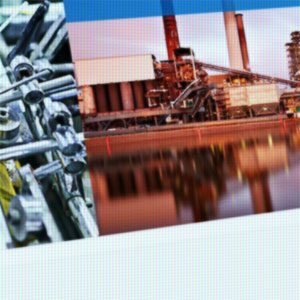 In January 2016, Gerflor Canada had no social media presence. In addition, the Gerflor website was not driving qualified consumer traffic to Gerflor Flooring dealers. COPP Montreal launched an engaging design-tip oriented ‘Gerflor Canada’ Facebook page in English and a separate ‘Gerflor Canada Francais’ page. We believed separate french and english pages would generate more likes and followers. Flooring consumers are on a journey and are looking for ideas. COPP Montreal ensured visitors and followers viewed content that could help consumers make the right flooring decision. Social media became a key driver of website traffic. In less than 8 months, our 12 month goal was reached. Gerflor Canada earned more total likes and followers than five of their key competitors and drove 30% of the traffic to the GeflorCanada.ca website. You have a blink of an eye to engage Facebook followers. That is why it is best to keep text short and in one language. Gerflor Canada’s social media presence reached over 330,000 qualified people for its Valentine’s Day campaign in February 2016. 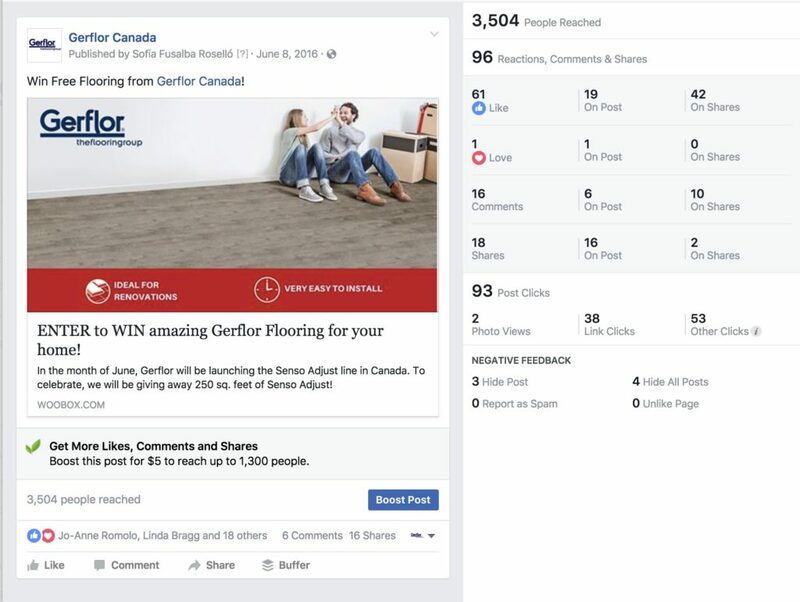 – Scott McGillivray shared the Gerflor post “Love another on a Gerflor”, leading to over 2,500 engagements (likes, shares, comments, and clicks) and a reach of over 63,000 people. – Scott McGillivray also posted a #DesignDebate “Did you know these floors are vinyl?”, where Gerflor Canada was tagged in the post and invited to respond to comments. This post reached over 160,000 people and received over 27,000 engagements. – The Gerflor “Love is…” campaign reached over 112,000 people (English page 75,269 and French page 36,776). Total engagement was 1,270 for the English page 1,270 and 3,129 for the French page. When Gerflor Canada launched Senso Adjust, COPP Montreal ran a contest to increase awareness and excitement about the new product. It reached over 3,504 people, with significant engagement (likes, comments, shares and post clicks). The promotion also enabled Gerflor to add potential flooring consumers to its newsletter database. For more examples of Gerflor Canada social media management, see our blog post.